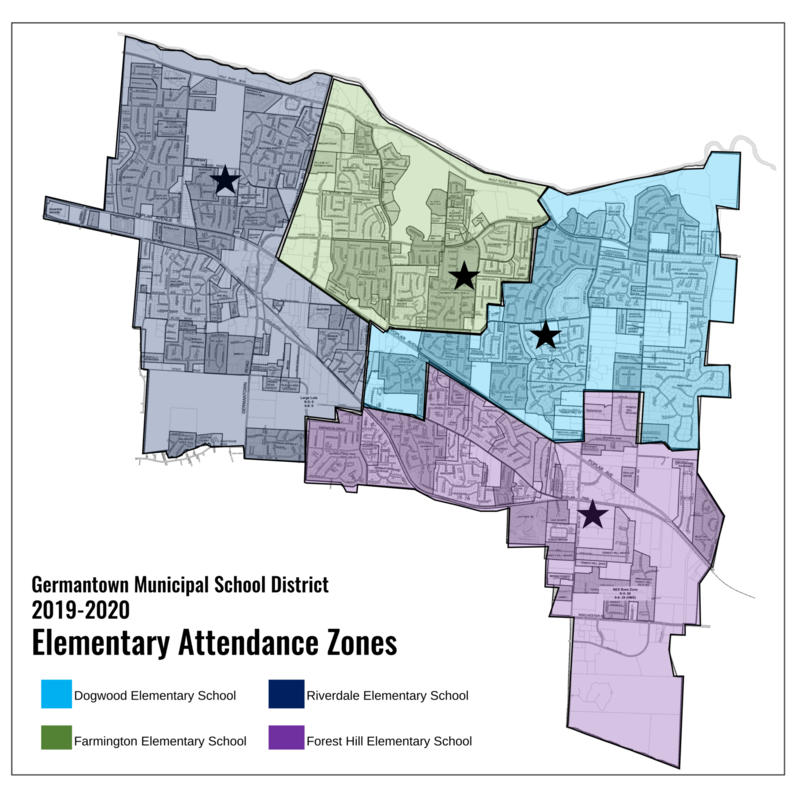 Germantown, Tennessee--August 21, 2018--On Monday evening at the August School Board Meeting, the school board unanimously voted to adopt "Proposal C" as the new attendance zone that will take effect in the Fall of 2019. "There are still decisions to be made by administration," said Superintendent Jason Manuel. Things such as the grandfathering of grade levels (like 5th graders or 8th graders) at their current schools, a continued examination of inter and intra district transfers, start times for the elementary school, and other details will all be announced as the school year continues. After a year of local research, the hiring of a national demographic firm, D. Bailey Demographers, and several community outreach events and input opportunities, the school district is confident in moving forward with the following school attendance zones. See more about that process, here. The impetus for the change is brought about by the opening of the new Forest Hill Elementary School in the Fall of 2019. Forest Hill Elementary School will have the capacity for over 800 students and will alleviate enrollment issues at our existing elementary schools as well as eliminate the need for portable classrooms and modular classroom units across the district. *Please note that it is sometimes hard to read the map in the images below--please click the download link below each image to access the maps in a much larger size. To download a larger version the 2019-2020 Elementary School Attendance Zone Map, please click here. 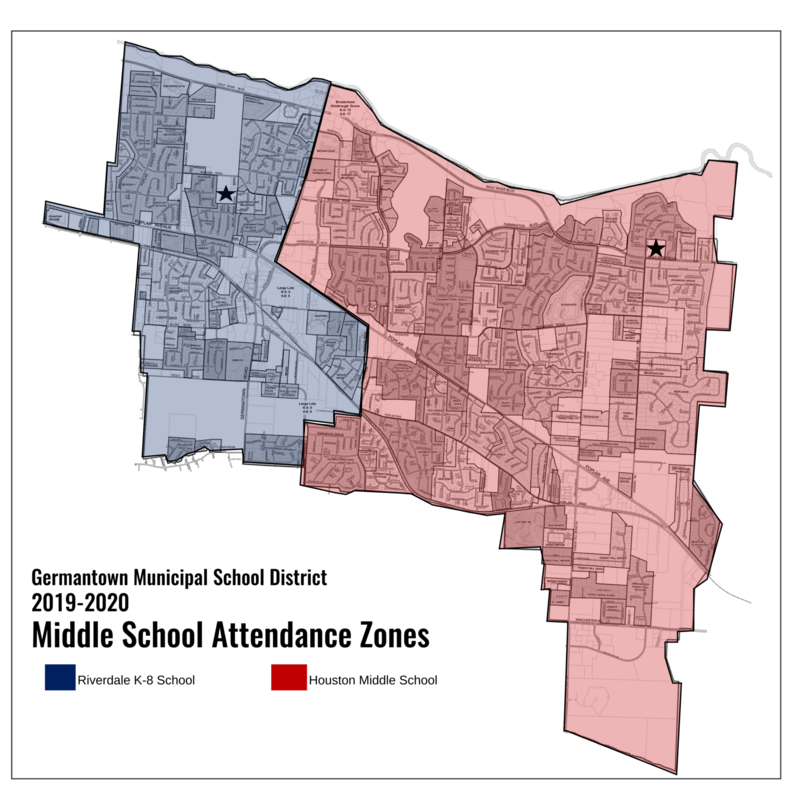 To download a larger version the 2019-2020 Middle School Attendance Zone Map, please click here.